I'm a protector by nature from my childhood to my service in the U.S. Navy to my years as a Management Consultant and Small Business Owner all leading up to my career in Real Estate where I now have the priviledge of protecting my clients' and helping them find and sell their home and where they can grow families and memories. I moved Cary, North Carolina 17 years ago after proudly serving in the U.S. Navy and then working as a management consultant. I have had my real estate broker's license since 2001. I call the Raleigh/Durham area home, as I have lived here longer than anywhere else, other than as a youth. I spent most of my childhood in Rockville, Maryland and am a graduate of the University of Maryland. 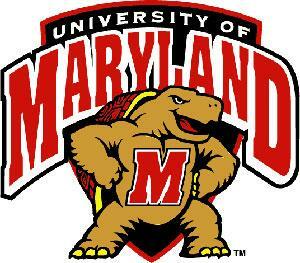 GO TERPS! I married my dream girl, Laura, on St. Thomas, in the U.S. Virgin Islands in 2005 . If we didn't live in the Triangle area, you would probably find us sipping cold drinks on a sailboat or on a beach in the islands. That said, how can the quality of life be any better than the Raleigh/Durham area? We love living here, where we are just 2 hours from the beach and 3 hours from the Smokey Mountains! People relocate to this area from every part of the U.S. and from across the globe. We have a professional hockey team, the CAROLINA HURRICANES, a Triple-A baseball team, the DURHAM BULLS, a professional soccer team, the CAROLINA RAILHAWKS, and leagues for just about every sport imaginable for you and your family. My #1 goal and, from the testimonials of past clients, my strongest attribute, is Customer Service. I promise honesty, thoroughness, and professionalism in assisting my clients with the sale or purchase of their home. I will be there to guide you every step of the way, with lenders, inspections, closing attorneys and everything else. I also stay in touch with my clients "after" their sale or purchase is complete. I am your Realtor for Life! I am available to you for anything you might need; a recommended plumber, carpet cleaner, painter, whatever, and I am there to assist you again when you are ready to sell and move to your next home. Whether you relocate here in the Triangle area or anywhere in the U.S. or even in another country, I have the connections to help you. If you are looking to sell your home, I will provide you with a full detailed market analysis showing your home's current competition and an Absorption Study, which will clearly show the price range in which your house should sell, based on hard, quantifiable data. The Absorption Study will allow you to choose your home's sales price with confidence, as it is based on the sale of comparable homes and the time they were on the market before sale. I will also assist in getting your home ready for market with low cost and no cost ideas. In today’s competitive market it is very important for your home to show its absolute best! I will put together a comprehensive marketing plan including virtual tours, photos, web site marketing, house talk sign riders, and QR code marketing just to name a few! Welcome to The Triangle area of North Carolina! It is a wonderful place to live, work, and play! The Triangle is ranked the best place to live by many publications, year after year, and our public and private schools rank among the best in the country. We are proud to say that the Triangle is home to major universities like UNC, Duke and NC State as well as others like North Carolina Central, Meredith College, Peace College, Wake and Durham Tech just to name a few! Research Triangle Park is home to many major employers as well. Outdoor recreation, boating, and fishing is abundant at Falls Lake, Jordan Lake, the Eno and Neuse Rivers, and Umstead State Park is beautiful, bordering Cary and Raleigh! Great jobs, easy commutes and quality of life is the best way to live. That is what we have, here in The Triangle area! Welcome Home! Was very happy with Bob as our realtor. He listened to our wants and needs in a home and helped to customize the home search to purchase our first home. The process really felt like we had someone on our side and looking our for us and not just looking to make money from a sale. 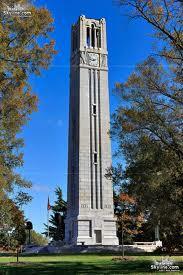 Bob sides is very knowledgeable of Raleigh and the surrounding areas. We are relocating to the area from out of state and Bobs knowledge and professionalism are top notch. My husband and I are so thankful for Bob! We were first time home buyers and having a home built. We had no clue what we were doing but Bob helped us along the way. When things weren't right, Bob stepped up and was our voice. He took his time to explain everything to us and was completely honest throughout. Bob has been absolutely wonderful. He was very knowledgeable about the area we moved to in Clayton. We had numerous delays with our builder and Bob looked out for us and fought for us throughout. I would highly recommend him to any prospective home buyer. Bob is very honest and direct in his in all his interactions. If he doesn’t know something he will either find out or be upfront with you so you know that the information is reliable. I really appreciated this about him and would not hesitate to recommend him to others. Bob helped one of my friends purchase a house a few years ago and I was very impressed with him, so when it came time for me to start the process for myself, he was the first person I called! Being a first time home buyer, Bob was able to answer all of my questions with ease and help in every step of the process. He went above and beyond to make sure everything went smoothly and I would definitely recommend him! By far the best experience with buying a home. Bob Sides made sure to help us find our dream home and within our budget. Bob helped us through every step of the process and made everything come together nicely. I would recommend him to anyone and everyone. Thank you Bob Sides for making a difference in our lives. We bought our house long-distance, and Bob made the experience stress-free. Answered all of our first-time homebuyer questions quickly and thoroughly. He is a very honest and accurate when assessing the condition of houses, he is not going to let you get a bad deal. When it comes time to sell our house, there is no question that Bob will be our guy. Bob works for you! He answered all of my questions promptly and with facts. He did not over promise on under deliver on both the sale of our home or the purchase of our new home. In a competitive market such as this, you need a realtor who is prompt and on top of it--you need Bob Sides on your side! Bob Sides did an excellent job of guiding us through the process of selling our home. We would very highly recommend him to anyone in need of a real estate agent. He went out of his way to help us with all our needs. The sale and closing went very smoothly. Bob could not have been more helpful! My husband and I inherited his mother’s condo and wanted to sell it quick without a lot of work on our side. We reached out to Bob immediately and within days it sold and over asking! Bob is awesome, friendly and very knowledgeable about how everything works! We will definitely use Bob for our next sell/purchase and highly recommend him for anyone! Bob really went the extra mile to help me find my new home. A pleasure to work with. After one home fell through after failing inspection, he persisted to help me find a perfect place. Great communication, always available. We held off looking at houses until our house sold--then we had 6 weeks to find something! Bob understood our urgency, did some incredible last-minute scheduling of showings over the next weeks and provided a lot of clear, concise and helpful advice during our search. Bob quickly and professionally worked up several offers on properties during our search, helping us choose prices, offer deposits, and negotiate price. When we finally found our new home, Bob did all of the above, and then, when we hit a snafu with our back-to-back closing, Bob worked from his vacation to get it all ironed out. Bob Sides makes it happen! I cannot say enough good things about our experience. Bob was super awesome from the house hunt through closing. He showed us houses that had the specific features we were looking for and quite knowledgeable. Highly recommend! Bob has been an amazing person to work with. He was recommended to us by my out of state family member who is also a realtor, and I am incredibly grateful for that. He has been helpful & knowledgeable but not pushy, super responsive and transparent, all with excellent examples of past experiences. I would 100% work with Bob again and recommend him to friends & family. Bob Sides will be my recommended Realtor to any who asks! Came across a few road bumps during processing and Bob was in front of them all. Never felt like I was alone during process. He's even checked on my family since we've closed, reminding us of his post sale availability. Yes, I highly recommend teaming with Bob Sides for your real estate transactions. Bob was amazing!! I would highly recommend him ! He is very knowledgeable on many different aspects... he will walk you thru the whole process step by step if you need him to ... like we did ! Highly recommend Bob without a doubt !! I would highly recommend Bob Sides. After 2 years of deciding, searching, and purchasing where we wanted to live, Bob found us a lovely home. After 1 year of ownership in North Carolina, we moved back to New Jersey and Bob was our "go to" realtor. He found us a great buyer and we are now settled. Bob was very professional and knowledgeable at all times and always returned phone calls, texts, emails immediately. A very nice gentleman. I would highly recommend him for any of your real estate needs. Bob was wonderful to work with, and made us feel at ease when we were purchasing our first home. We were relocating to the Raleigh area but began our house search before we moved to the area, and Bob showed us around some of the different areas so that we could decide where we would most like to live. He was very accommodating in showing us homes we were interested in, even when given short notice. When we finally found a home, Bob walked us through all of the steps of the buying process so that we would know exactly what to expect. We will definitely be working with Bob again if we ever decide to move! Bob is the best. I was a first time home buyer in a very competitive market. He was so knowledgeable about the 1000's of questions I asked him. He was always quick to respond to me anytime I sent him a message. He was patient, upbeat, positive, honest and fun to be around. He helped me through the entire process and I will forever be grateful to him for helping me find my first home. Bob is knowkedgable, hardworking, and talented. He is easy to work with, and has all kinds of contacts. He knows every technique learned during his lengthy career. It was a pleasure doing business with him to find a new house. I stuck with him to sell my old place, and he told me exactly where to put my money to make it marketable. When we finally took it to market, it sold in three days! I would highly recommend him to anyone. We were paired with Bob through our lender. He was extremely responsive, even with our modest budget, and made our first-time home-buying experience a breeze. Thanks, Bob! Bob was very informative and knowledgeable about the area and what it took to purchase a home in this area. Always made time for us being out of town, many weekends spent with us looking at homes. My husband and I recently had the opportunity to work with Bob Sides on the sale of our townhome and he was wonderful! We basically went out of town for a weekend and let Bob work his magic, our townhome sold in that same weekend! Bob was always there whenever we needed something, always gave sound advice and guidance. Bob was incredibly personable and always had a fabulous attitude. We loved working with Bob, and would highly recommend him to other sellers and buyers! Bob is a pleasure to work with. He is very knowledgeable of the local areas. My husband and I moved from Florida four months ago and we were renting an apartment in Raleigh to get to know the are before buying. We described to bob what we really wanted in a town, he right away Knew exactly what we were looking for and pointed us to the towns that fit our description. We ended up buying a house in one of the towns he recommended, my husband and I were so happy to have Bob to guide us through the whole process. He was available at all times and very friendly. He was really good at negotiating the best deal possible for us. The entire process was a stress-free and very easy-going. I will definitely recommend Bob as a great realtor and I will definitely use him again. Bob just helped us close on our first house. When searching, he was very helpful in pointing out details that we never would have noticed. He also supplied very helpful tips for us as first time home buyers in every step of the process. Bob did a great job. My usband and I did a move from kansas city to north carolina and set up a day to look at houses. He was very knowledgeable and helpful. We bought the perfect house for us on the first day of looking. We are first time home buyers so we were a little intimated at first about the process, but he helped us be at ease. Bob returned our confidence in working with real estate agents again. His professionalism, friendliness, vast knowledge of the Triangle area and of the market made it possible for my wife and I to purchase our dream home. He advocated for us during the due diligence process and was available at all times for our questions and concerns. Bob has over a decade of experience in the Real Estate business and used that knowledge to guides us where and what to buy. We would absolutely recommend Bob Sides as a realtor to anyone who may be thinking on purchasing a home in the Durham-Raleigh area. Bob was an awesome realtor! He was very knowledgable of the area and always came prepared to showings. As a first time home buyer, he made the process very clear and straight forward. We had a great closing and I am very happy with my home. I would definitely recommend Bob, especially for new home buyers like myself. Bob helped us sell our home in less than a week. He was very knowledgeable about the selling process and preparation of our home for showings and paid a lot of attention to the details in our home as compared to other potential realtor that we interviewed. He was a great negotiator and prompt to respond to all of my questions. A great realtor to work with! He knows what he is talking about, was very flexible and able to show us homes with very little notice, and guided us through the process of buying a home. You should definitely pick Bob if you're looking for a knowledgeable realtor who will do everything he can to get you a great deal for a home you love. Bob Sides was referenced to me from my bank through a veteran's program. As a first time homebuyer, we were a neurotic mess throughout most of this confusing and stressful process. We were able to rest easy as Bob always answered our questions (and openly told us when he did not know an answer), and helped push our lender through the slow VA loan process. I would highly recommend Bob to anyone looking for a house in the Triangle area as he will ensure everything rolls along smoothly, and will keep you informed throughout the process. When our first realtor dropped the mall on us, Bob quickly stepped in to save the day. He went to work immediately to understand what we were looking for and established screeners to narrow down the search. Within days we had identified two houses and he went to work researching both neighborhoods. He expertly advised us and guided us through the offer and negotiation. His work continued during the closing process and throughout he continuously looked out for our interests. There is no one I'd rather work with the next time we are in the market. Bob has a great eye for the area and has a lot of knowledge about the home buying process. He will always give you an honest opinion about the houses he is showing you and he was spot on with his assessment of the house we purchased. It was our first home buying process and Bob was able to make the process painless and enjoyable. Bob is also a Veteran, and is very familiar/knowledgeable about the VA Loan process. Bob is an outstanding agent who is always on your side and will fight tooth and nail for you to get the house you want. I would recommend him to anyone looking for an agent! Bob is the most intuitive and patient agent you could ever ask for. We had an exhaustive search for months and months. Bob was always attentive and never showed any sense of frustration even when we did. A better agent is not to be found. Bob went out of his way to find us a home, especially since we were dealing with him from Hawaii. He was on top of every listing and changes to our house. I would highly recommend Bob Sides to anyone buying or selling real estate in the RDU area. We bought our first home with Bob and it was a great experience! Bob was very attentive and in-tune with what we were looking for. He was always available to talk or answer questions, even on nights and weekends. He is a very trust-worthy and dependable person, and we are so glad that we had him to help us with buying a home! He went above and beyond our expectations, and we would highly recommend his services!!! Bob has been great to work with - he always provides additional information on properties- local sales trends, sale prices vs listing prices, time on market, etc. He's also good at pointing out details to help compare & assess pros & cons. And I've really appreciated his patience - he's not been pushy about getting a sale closed and understands & respects that everyone has different tastes & priorities. & follow-up: Bob has continued to touch base & provide homeowner info and ideas. I'll quickly provide his name to anyone that asks! When I'm ready to sell, no question who I'll list with!